Recruitment can be a challenge for many companies especially those in the STEM sector. DePuy Synthes is taking an alternative approach to boosting their talent pool by embracing a four-month paid return-to-work programme for professionals who have taken a break from their STEM careers. 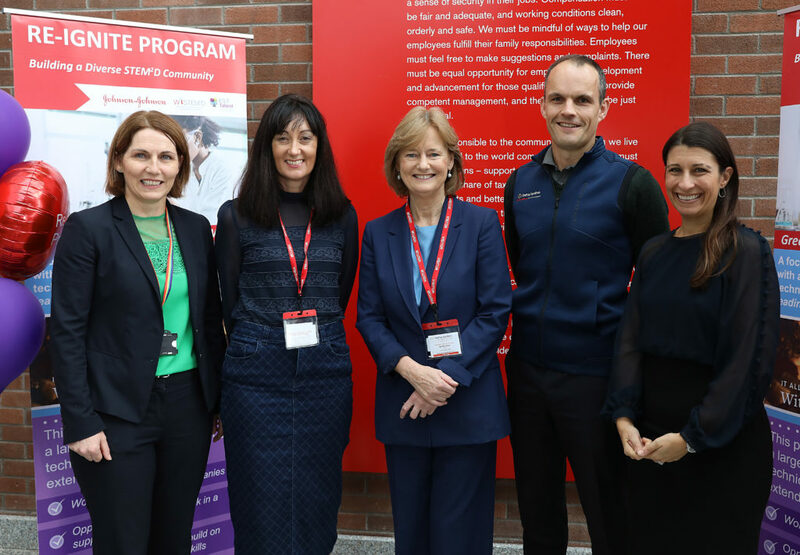 Susan Shalloe, Rochestown, Cork and Claire Drummond, Glanmire, Cork have joined DePuy Synthes as Manufacturing Engineers as part of the Re-ignite programme. Susan is a Chemist with over ten years’ professional experience. She took time out to rear her family from 2003 to 2017 and completed a Postgraduate Certificate in (Bio) Pharma Processing this year. Claire is an entrepreneur and digital marketing professional who recently completed a Higher Diploma in Computer Science in Data Analytics. 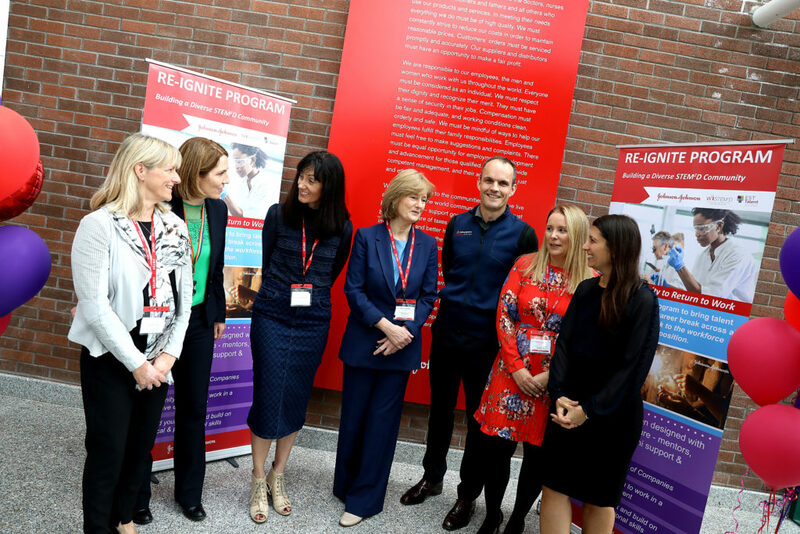 The Re-ignite programme is just one part of the many Johnson & Johnson initiatives that strengthen their overall commitment to encouraging diversity in the workplace. The successful candidates will work as part of the Engineering Science and Technology Team based in DePuy Synthes. Deirdre Clune MEP, said she encourages businesses to do more to support women in the workforce. “According to the latest CSO figures, over 400,000 women in Ireland stated their role as home duties, compared to 10,000 of their male counterparts. In Ireland, we are starting to change the conversation around return to work programmes, we know that there is a group of untapped, high-calibre candidates who are a great fit for this programme and employers are recognising this. The programme future proofs the returners’ career by providing them with an opportunity to rebuild confidence and obtain current, up to date experience. 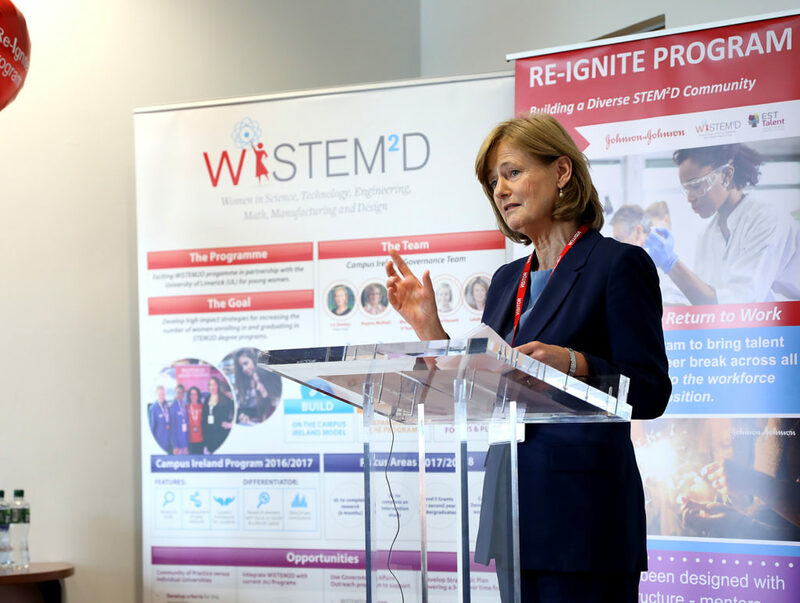 Gary Clerkin, Global Leader Manufacturing Engineering, Science and Technology at DePuy Synthes said, “Many talented STEM professionals have fallen out of the labour market and our aim is make the transition back as easy and exciting as possible. The Re-ignite programme offers the opportunity for professionals to refresh their technical skills, participate in professional development and receive mentoring support from a member of the DePuy Synthes team. We are extremely delighted to have Susan and Claire joining us as part of this very exciting new J&J programme. Diversity of thinking is a critical component in meeting unmet customer needs and I believe this programme is a key component in accessing a very exciting leadership and technical talent pool. Sign up to receive an update on company developments and industry insights.